The human intestine constantly renews itself. Alone in the colon—the last 1.5 meters of the gastrointestinal tract—10 billion epithelial cells are replaced each day. 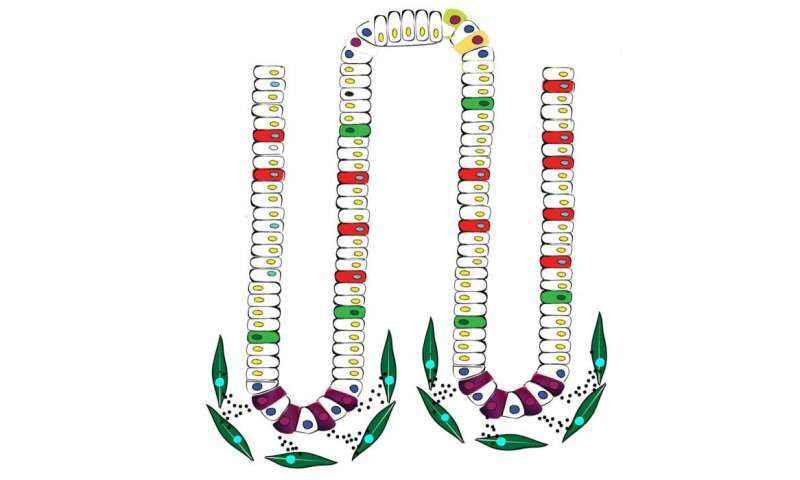 The intestinal epithelium is the layer of cells that forms the lining of both the small and large intestine and is responsible for absorbing nutrients. The regeneration process is driven by stem cells that are found in small folds of the epithelium (crypts), where they are in contact with other cells that produce the signals needed to drive regeneration. The key activating signal that sustains the stem cells is called “Wnt”. A group of UZH researchers, including Konrad Basler from the Institute of Molecular Life Sciences, have now discovered the cells responsible for providing the activating signal to the stem cells. These so-called Gli1-positive cells surround the crypts in the epithelium and thereby form the stem-cell niche. 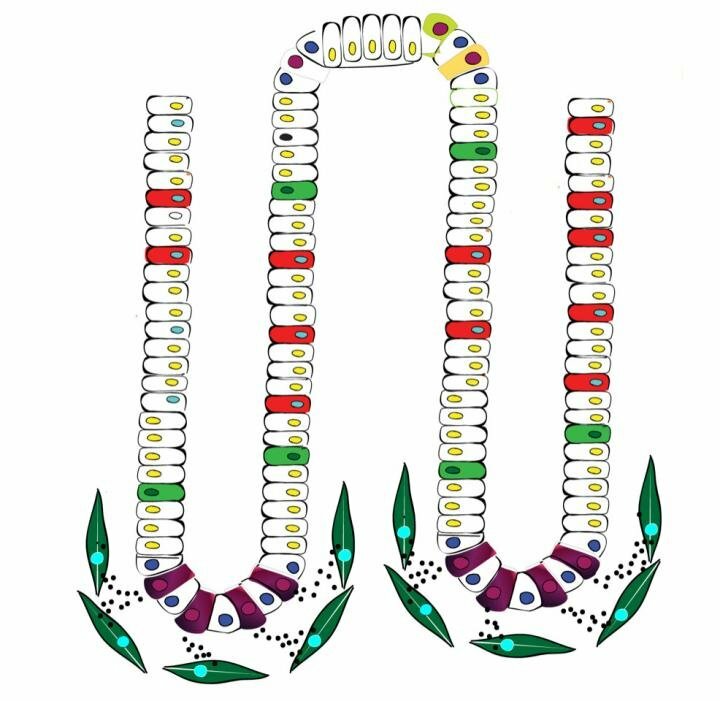 The scientists performed studies in mice to demonstrate that these cells play an essential role in forming and repairing the intestinal epithelium. “If the Gli1-positive cells are eliminated or unable to secrete Wnt proteins, the activation signal is lost. Consequently the colon’s stem cells as well as the epithelium will perish, and the organism dies,” says Basler.